"Prine can balance of humor and heartbreak, turn of phrase and tongue in cheek. John Prine’s stories become our stories. We see ourselves in his music – he simply writes about us far better than we ever could." 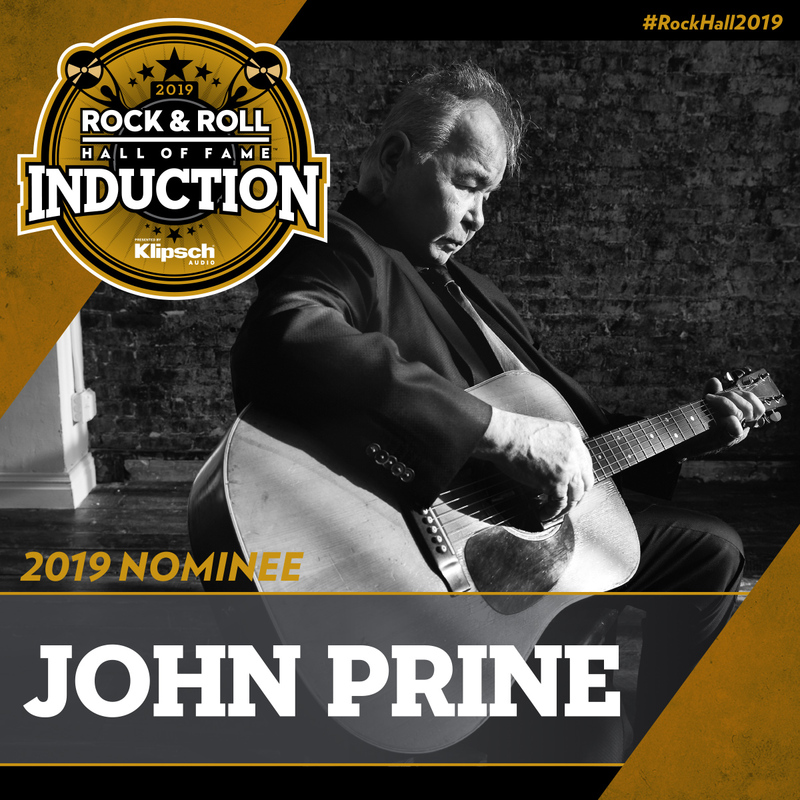 Beginning October 9 and continuing through 11:59 p.m. EST on December 9, 2018, fans can cast votes for who they believe to be most deserving of induction into the Rock & Roll Hall of Fame. The top five artists, as selected by the public, will comprise a “fans’ ballot” that will be tallied along with the other ballots to choose the 2019 inductees. Fans will need to login to vote. Voting is capped at one ballot per day.